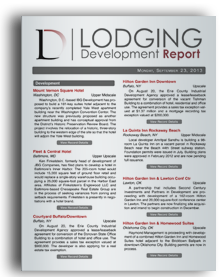 Lodging Development Report is a subscription-based resource of U.S. hotel real estate information, data, tools and contacts – updated and published each week by the experts at Lodging Development Group. Subscribers find it to be an invaluable asset that keeps them current, helps them make smarter decisions, and capture more business. Reveals the most important new hotel developments and transactions added to the Lodging Development database during the previous week. You'll get the ultimate in competitive intelligence, including who's planning, buying and selling in the lodging industry. As a subscriber, you can also view full profiles of each property online. Search our entire database of hotel construction projects and hotels sales and their corresponding profiles. Need to find a specific type of property... new development projects?... recently opened hotels? You can also search hotel sales by chain, chain scale, size, status, and much more. It's the perfect tool for finding comparable hotel sales, hotels under construction, hotel project leads, and more. Unlimited searching is always free for all subscription packages. Each subscription package includes access to a defined number of full Property Profiles. You can access these profiles through the Weekly Report or by using any of the property search tools on the Lodging Development website. 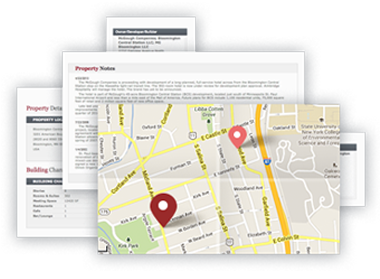 Profiles include invaluable data such as owner/developer contact information, property characteristics, development history, sales history, maps, photos, related documents, and more. Who subscribes to Lodging Development Report? * Contact information for owners, developers, managers, designers, builders and other project participants. 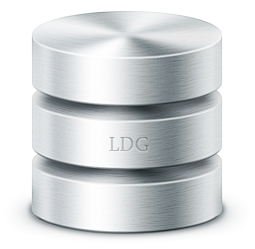 Drawing upon industry relationships, municipal contacts and numerous other sources, all information in Lodging Development Report and the Lodging Development Database is independently sourced and verified by Lodging Development's in-house research team.